Treasure Hunt is a mini game unlocked by completing all the Quests in Zhul'Kari. 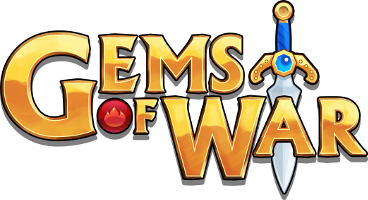 The standard board of gems is replaced by a board of treasure - the objective is to play for as many turns as possible and convert your treasure into better loot. In order to play Treasure Hunt, a Treasure Map must be consumed. By getting 7 or more Gem cascades on a single turn. A cascade is when the Gems fall onto the board from above and align after you make a match. From the Glory Rewards tab in the Shop (standalone Treasure Maps or the Spoils of War bundles). From certain troops (Tyri, Marid, Lil' Johnny Bronze, and the Merchant's Blade hero weapon). Some Live Streams from the Infinity Plus Two team will also include game codes for use on PC/Mobile which sometimes have Treasure Maps. These maps will be kept until you use them in the Treasure Hunt mini game. Treasure Hunt is located in the Games menu which can be found on the World Map. The goal of Treasure Hunt is to create as much valuable loot as possible within a limited number of turns. The game begins with 8 turns. Each time you match 3 loot items or more, they'll convert into a single higher-value piece of loot (which remains on the board). The objects on the board fall and cascade as normal. The highest value loot, the golden vaults, cannot be combined any further, and - critically - cannot be manually swapped at all, even for otherwise legal moves (they can still fall to the bottom). Extra turns can be earned by matching 4 or more of the same type of loot. A 4-match will give one extra turn (i.e. not use up a turn on that move), while a 5-match or higher will provide an additional extra turn (net gain of one turn). You can see how many turns remain on the left side of the board. At the top of the board you can see how many Traitstones you've earned and how many turns you've taken so far. TIP: The Green Guild Statue can enable you to start Treasure Hunt with up to 14 turns. When you run out of turns, your loot will be transformed into one of the various rewards listed next to the loot icon on the right side of the board, which includes Gold, Souls, Glory, Gems, Glory Keys and Gem Keys. You also earn a random Traitstone for every 15 moves. Finishing a Treasure Hunt with at least 60 moves will also earn Guild Seals. Try to prevent lower-value coins from getting near the bottom. They will be harder to match at the bottom of the board. Avoid having high-value items in the first couple of rows. High value items are less likely to drop from the top of the board, so you won't get as many lucky cascading match 4-5s with them. Don't match 4 or 5 green/red chests unless you really have to. It's more valuable to get rewards for lots of green/red chests than a couple of Vaults unless you need more space on the board to make the game last longer. Try to only create Vaults at the bottom of the board as they can't be moved. Running out of legal moves will cause the board to shuffle. If you know you're on your last move, make a low value match to slightly increase your rewards. ie. if you match 3 green chests on your last move you'll only get 1 red chest and maybe a couple of bronze or silver coins so you will earn less rewards than if you matched 3 bronze coins and maybe 2 silver coins dropped and you kept your 3 green chests.